When I first saw Day of the Tentacle Remastered, I wasn’t sure I had any interest at all. After playing it, I found appreciation for its well written jokes, beautiful redrawn art and memorable characters. It’s wrapped in an old school point and click adventure game that has been rebuilt for a modern generation and it absolutely stands the test of time. 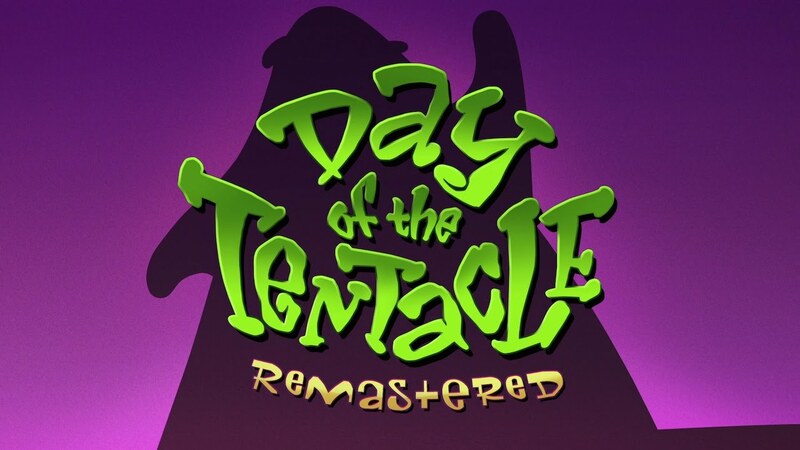 Day of the Tentacle is the sequel to Maniac Mansion, another old school point and click adventure game. The Remastered version stands tall on its own, as even though I didn’t play Maniac Mansion before, I was still able to understand and engage with its story. Some jokes did pass over my head, but you can still appreciate them, and longtime fans will surely find pleasure in them. The story this time is that a purple tentacle takes a drink out of a polluted river and gets the urge to take over the world. To stop this from happening, Bernard, Hoagie and Laverne must travel back in time to stop the purple tentacle from accomplishing this goal. This is where things go awry; the time machine sends Hoagie 200 years in the past, Bernard stays at the present day, and Laverne to 200 years in the future. The goal is to repair the time machines and get each of them back to the present day. In Hoagie’s situation, he finds himself in colonial times, where he will run into the likes of Thomas Jefferson, George Washington and John Hancock, who are currently trying to write the Constitution. While on the other side, Laverne finds herself stuck in a futuristic version of today where the tentacles have taken over the world and enslaved humans. Hoagie’s situation is the most memorable, as his personality completely contradicts the personality of let’s say George Washington. You can switch between all three characters and transport items through time using the time machine. Luckily, you don’t need to go to the time machine each time an item needs to be transported, as it can easily be done in the pop-up menu in the game. An item found in colonial times, may need to be transported to the future so that another character can progress, and vice versa. In addition, actions made in the past can change what happens in the future. Need a vacuum cleaner in the future? Make it written into law that every household needs a vacuum cleaner in their basement. It makes for some unique and clever puzzle mechanics, and when it all clicks, there is a real sense of appreciation for how the puzzles were crafted. There are also numerous recurring characters throughout the three time periods, and seeing each of their ancestors with their own, but similar personality, works great. As an old school point and click adventure, you’ll be picking up items to mix and match with other items in your inventory and in the environment, to solve puzzles. Sometimes you’ll need to push, pull or use an item to get what you want done. For the most part, tasks in the game can be done in any order, making the game very non-linear. If you are stuck on a particular puzzle, there are plenty of other puzzles for you to engage. For the Remastered version, the interface and art have been completely redone. Pressing Square on the controller brings up a few options to choose from and can be overwhelming at first, if you don’t know what you need to do. However, once you get the hang of what the game is going for, you’ll be able to maneuver the controls just fine. It’s clear that the game is meant for a mouse and keyboard, but the game works well with a controller, with only a few sections wishing I was playing on PC. The art looks beautiful in wide screen. Characters and environments are glowing with color, and it makes for a great looking game. Pressing the Touchpad will allow you to swap back and forth between the classic look and controls, and the Remastered version. 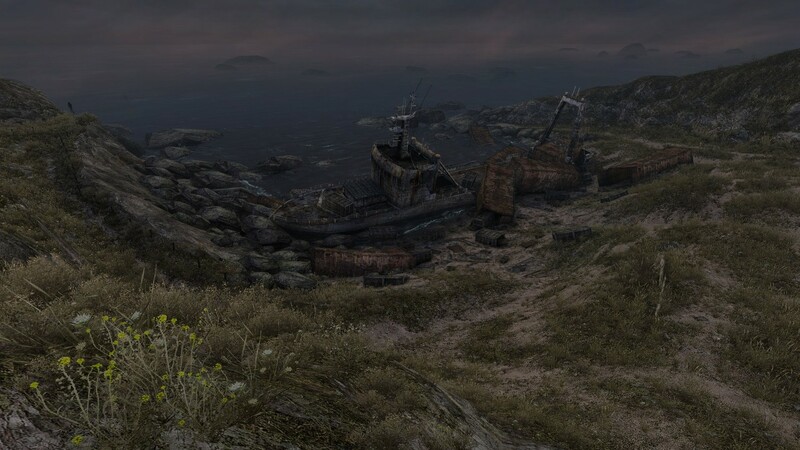 It’s nice to notice what it used to look like back then, but I found myself always wanting to play with the Remastered look. The presentation of Day of the Tentacle Remastered is fantastic with its redrawn art, redone interface, voice acting and writing. Characters are unique and each deliver their great performances. In addition, concept art and director’s commentary is available for players looking to dive a little deeper into the minds of the developers and the development process. I never noticed any performance issues and switching between Hoagie, Bernard and Laverne is a quick and painless process. For fans looking for a blast to the past, a fully playable version of Maniac Mansion is found at a computer terminal in the game. This is the classic version of the game, so don’t expect the full Remastered treatment when playing. Much like last year’s Grim Fandango Remastered, Day of the Tentacle Remastered brings classic point and click adventure games to a new generation to great effect. The completely redone art and interface works exceptionally well in 2016, even if it takes a little bit to get used to. Classic gamers will absolutely find enjoyment in the Remastered version, and players who rarely play point and click adventure games should find some appreciation for how these games used to play.